As you know from many of my writings pertaining to VNS Therapy it is often of a very serious nature especially when endeavoring to right serious wrongs and advocating for the wellness of others. Quite often when facing these daunting challenges and the unbelievable and illogical reasoning I encounter while challenging the bureaucracy, I go “Totally Bananas”. With that thought in mind and my tongue-and-check sense of humor, I’d like to share something on the lighter side of things about some dear friends of ours. Chuck Pheterson has always liked chocolate-covered frozen bananas. Now he really likes them, and so do thousands of others. 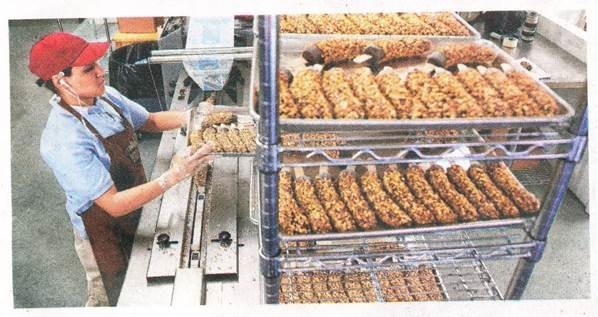 Three years ago, Pheterson started a business with his wife, Mindy, making his favorite snack. Business is booming — sales were up 35 percent last year over 2012 — and the Phetersons are looking for even more growth this year from their Totally Bananas venture. “We’re everywhere, from Circle K to The Breakers,” Chuck Pheterson said. 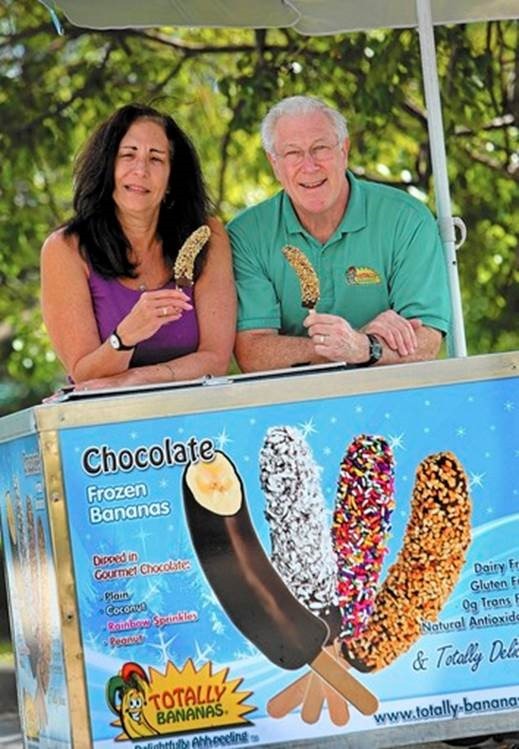 The Davie-based business, which leased larger manufacturing space in 2013, would like even more people to enjoy its snacks, which taste almost like ice cream but are dairy-free and gluten-free. So the company has been building awareness both through its own publicity efforts and a recent listing on the crowdfunding site, CircleUp. Last year, Totally Bananas received an unexpected publicity boost when Netflix ordered 20,000 treats to promote the return of its TV show “Arrested Development,” which features a banana stand in its plot. Videos of the event show a massive line in Times Square for the banana treat giveaway by the show’s actors and director Ron Howard. That promotion led to a potential investor responding to the company’s recent posting on CircleUp, where the business is seeking $300,000 for expansion. Crowdfunding sites like CircleUp give small businesses an alternative to financing expansion. Pheterson said he chose CircleUp because the site focuses on consumer and retail products. Rafael Cruz, who heads the Small Business Development Center in Broward County, said crowdfunding is making financing viable for companies that are just beginning to show major growth and results. “That’s the sweet spot,” he said, but also warned that such investments are also risky. CircleUp, where companies trade equity for investment, said it has helped 32 companies raise more than $30 million. Since its listing two weeks ago, Pheterson said he already has conversations with 15 potential investors. Totally Bananas has two patents pending on equipment to increase automation and production. The company wants to make small-bite packages of their treats for distribution to discount clubs and other new outlets. New fruit-blended banana treats also are on the drawing board, Pheterson said. Currently the business has more than a $500,000 in annual sales, employing six workers during its busy summer season. In recent years, the company has broadened distribution to amusement parks and concessions as far north as Canada with the help of Joel Kornbluth. With a background on Wall Street and in e-commerce, Kornbluth joined the company as a partner in 2010 and handles the company’s large accounts. Other vendors for Totally Bananas can be found at totally-bananas.net/map. While the company is working on new products, their treats will always contain a banana, said Mindy Pheterson, who handles the company’s accounting and marketing. “We’re named Totally Bananas to keep our focus,” she said. This entry was posted in Uncategorized and tagged "Totally Bananas", Vagus Nerve Stimulation, VNS, VNS Therapy. Bookmark the permalink.